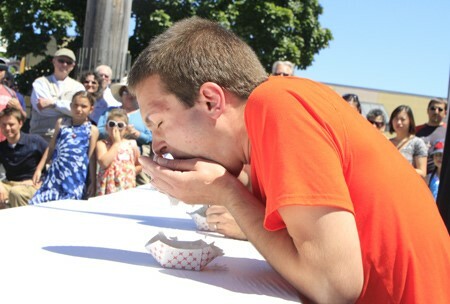 The time-honored tradition of the Lutefisk Eating Competition at Seafoodfest in Ballard is over. When I hadn’t received the call to emcee the championship eating event for this upcoming weekend, I went to the website. Nothing. 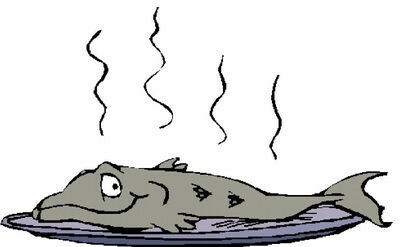 So I emailed the Ballard Chamber and they confirmed it: the annual Lutefisk Eating Contest had been scrapped. It may come back next year, it may not. Yeah, it gave me something to do and kept me off the streets, but I know there exists a die-hard collection of lutefisk eaters who are going to show up on Saturday and be greatly disappointed. Since you will be deprived of witnessing a 2015 edition of this northwest tradition, I offer a collection of “Great Moments” that will live on YouTube forever. Who could forget the father and son finale` of 2010? I’m just not sure I want to be part of a codless society.